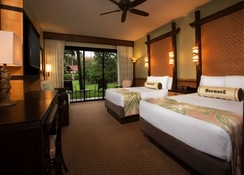 With lush palm trees, an exotic and relaxed nature and a host of great amenities, Disney's Polynesian Resort offers a unique accommodation that is close to Disney’s attractions and many of the other tourist spots in Orlando. Guests can choose from several accommodation options that can sleep up to 5 people and there is plenty to see and do at the resort for adults and children alike. 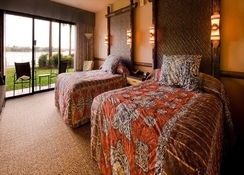 There are several restaurants, various bars and access to a health club when staying at Disney's Polynesian Resort. For couples and families with children this provides a great way to spend a magical holiday in Orlando Florida whether it is exploring the theme parks or just relaxing in the Florida sunshine. 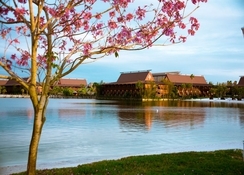 Disney's Polynesian Resort is a great location from which you can explore the many attractions that Orlando has to offer. Disney’s Hollywood Studios (6 miles), Walt Disney World (4.9 miles) and Epcot (3.1 miles) are all close by and the resort is on the monorail system that runs from this hotel to the Magic Kingdom Park. SeaWorld (11.7 miles) and Universal Studios (15.7 miles) are nearby as well and the Orlando International Airport is 23.4 miles away. There is an airport transfer service available. 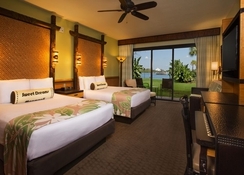 There are four different accommodation options at Disney's Polynesian Resort that all sleep up to five adults. They are categorised as Standard View, Lagoon View, Theme Park View and Pool or Marina View and come with two queen beds and one day bed. Every room comes with a free Wi-Fi service, tea and coffee making facilities and a Polynesian inspired design. 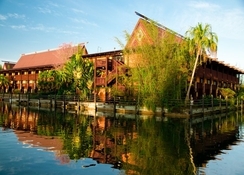 Disney's Polynesian Resort has five on-site dining options. ‘Ohana offers breakfast with a Lilo & Stitch inspiration and is also open for dinner while the Oasis Bar & Grill provides a range of burgers and wings and is open throughout the day. For snacks then head to the Pineapple Lanai and Trader Sam’s Tiki Terrace has live music and a selection of tropical drinks. 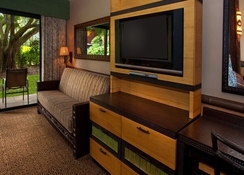 You can also avail of room service and due to the resort being on the monorail system there are many other restaurants that are easily accessible which includes Kona Café and the Tambu Lounge. 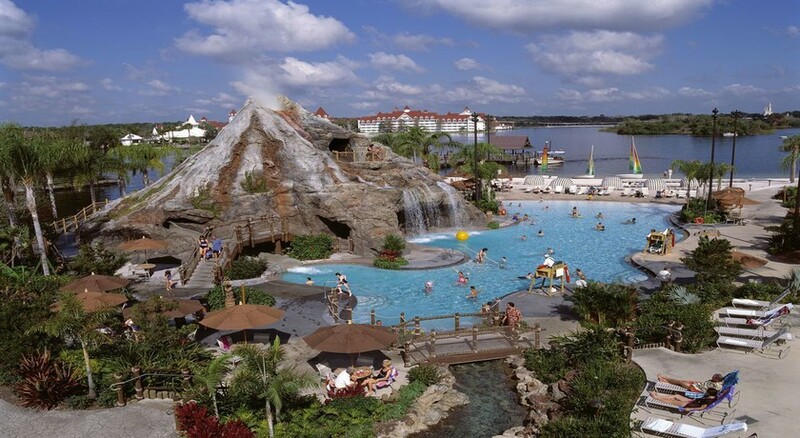 There are two on-site pools at Disney's Polynesian Resort and the Lava Pool has a 142 foot long waterslide as well as volcano and waterfall. You can head around the lagoon in a motorized boat, take party in campfire activities, go fishing or enjoy a Disney movie under the stars. Golfers have the option of various golf courses including Disney’s Magnolia Golf Course which is only 400 yards away and the Lake Buena Vista Factory Stores are 8 miles away.